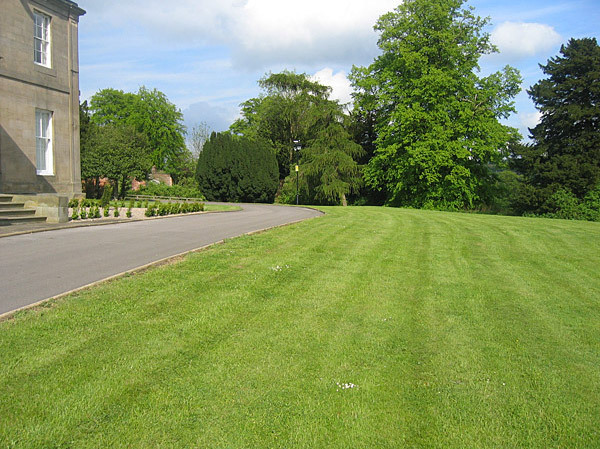 We are Hudson Horticultural Ltd, a company incorporated in England and Wales. Our company number is 06550593 and our registered office is at 1 Mackie Hill Close, Crigglestone, Wakefield, WF4 3HP (“we”/ “our” / “us”). Our Data Protection Officer can be contacted using the following email address ian@hudsonhorticultural.co.uk or alternatively writing to our registered office address set out above and marking it for the attention of the Data Protection Officer. You have the right to withdraw your consent to the processing of your personal data at any time. If you would like to withdraw your consent, or prefer not to receive any of the above-mentioned information (or if you only want to receive certain information) from us please let us know by emailing us at ian@hudsonhorticultural.co.uk. Please bear in mind that if you object this may affect our ability to carry out tasks above for your benefit. Withdrawal of your consent won’t affect any processing we have carried out in respect of your personal data prior to you withdrawing consent. If you wish to have your information removed from our database or if you do not want us to contact you for marketing purposes, please let us know by clicking the “Unsubscribe” option in any email we send to you and providing the details requested or by emailing us at ian@hudsonhorticultural.co.uk and we will take steps to ensure that this information is deleted as soon as reasonably practicable. The data that we collect from you may be transferred to, and stored at, a destination outside the European Economic Area (“EEA”). It may also be processed by staff operating outside the EEA who work for us or for one of our suppliers. Such staff may be engaged in, among other things, the fulfilment of your order, the processing of your payment details and the provision of support services. By submitting your personal data, you agree to this transfer, storing or processing. We will take all steps reasonably necessary to ensure that your personal data is treated securely and in accordance with this policy. The destination to which your personal data will be transferred will either offer adequate protection of your personal data, as determined by the European Commission, or we will make sure there are appropriate safeguards in place. If you would like to know more about the basis on which we transfer your data outside the EEA where a finding of adequacy hasn’t been made, please contact ian@hudsonhorticultural.co.uk. You can ask us to confirm that we process your personal data and provide access to and copies of the information we hold about you by emailing us at ian@hudsonhorticultural.co.uk. We will process your request to access your information and provide this information to you free of charge unless your request is manifestly unfounded or excessive or repetitive, in which case we are entitled to chard a reasonable fee. We may also charge if you request more than one copy of the same information. If you believe personal data we hold about you is inaccurate or incomplete, or any of the information you provide to us changes, please let us know as soon as possible so that we can make the necessary changes to the information we hold for you on our database. If you wish to make any changes to your information, please email us at ian@hudsonhorticultural.co.uk. To request that your information is deleted, please email us at ian@hudsonhorticultural.co.uk. If you wish to restrict or object to the processing of your information, please email us at ian@hudsonhorticultural.co.uk.